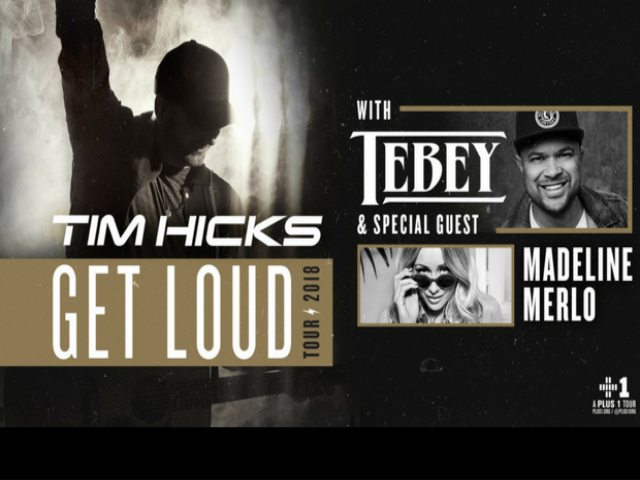 2018 Apple Music Fans’ Choice Award nominee and multi-platinum, award-winning entertainer Tim Hicks announced that he will turn up the heat this winter on his national headlining “Get Loud Tour” kicking off in Toronto, and hitting the Meridian Centre November 16th. Hicks along with special guests Tebey and Madeline Merlo will take the energy-charged tour to 16+ cities across the country. Don't miss Tim on his home turf in Niagara!